MINNEAPOLIS, UNITED STATES, February 25, 2019 /EINPresswire.com/ — Sopheon, a global leader in enterprise innovation management solutions, has been named again to the Consumer Goods Technology Top Providers list. With many consumer goods manufacturers among its clients, Sopheon has received the honor for the ninth straight year. As part of the magazine’s annual Readers’ Choice Survey, executives from consumer goods organizations were asked to identify the new product development and introduction (NPDI) solutions that best support their efforts to deliver new products to market, as well as their satisfaction levels with each provider. Accolade strengthens the linkage of strategy and execution, allowing organizations to connect strategic initiatives with operational execution activities and providing companies a single version of the truth. This helps businesses increase strategy realization rates, manage challenges and risks, and improve financial and organizational performance against strategy. Dozens of the world’s most successful, innovation-driven companies – including market leaders in consumer goods, food and beverages, chemicals, industrial manufacturing, high-tech, automotive, aerospace and defense – use Accolade to digitalize their innovation operating models. To learn more about how Sopheon supports execution of innovation strategy, visit our strategy execution resource hub. 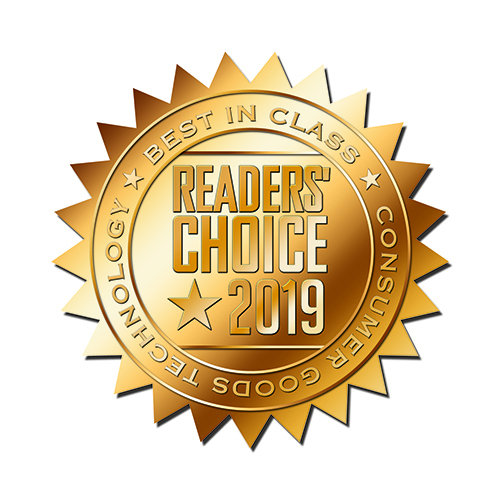 Consumer Goods Technology's 19th annual “Readers' Choice” listings of leading solution and service providers are a critical resource for industry executives looking to improve processes across various business functions. Each year, the magazine polls its readership community to identify leading technology providers in 16 key categories: Artificial Intelligence, Supply Chain Execution, Supply Chain Planning, CRM, TPM, ERP, Cloud Architecture, New Product Development & Introduction, Business Intelligence, Demand Data Analytics, Product Information Management, Consulting, Consumer Experience Management, Digital Commerce, Retail Execution and Outsourcing/IT Infrastructure. For more information, visit www.consumergoods.com. An integrated media brand, Consumer Goods Technology is the leading resource for consumer goods executives looking to drive business transformation through the use of best-in-class systems, processes and technologies. Delivering content through print, online and events, CGT reaches an audience of more than 76,000 consumer goods executives ranging from managers and directors to vice presidents and CIOs. CGT also covers business and technology trends in all major segments of the consumer goods market, including packaged goods, OTC/pharmaceuticals, electronics, home improvement and apparel/footwear. For more information about CGT, visit www.consumergoods.com.